The Mobile World Congress tradeshow, which will run February 25 - 28 in Barcelona, looks set to bring a torrent of new smartphones, including a folding smartphone from Motorola, a new Nokia with five cameras, and the LG G8 ThinQ. Unfortunately, one smartphone that will not make an appearance at the tradeshow is the Huawei P30 Pro – despite earlier rumours to the contrary. Huawei is expected to reveal its folding 5G-touting smartphone at MWC, but those hoping to get a glimpse of the P30 Pro will have to wait until March, 2019. That's according to a leaked press release about new hires in the Huawei office in Poland which was first spotted by the team at Gizmodo. The press release happens to mention that the next Huawei P series device will be launched in Paris next month. That makes a certain amount of sense, given that Huawei held its global launch event for the P20 and P20 Pro... in Paris in March, last year. However, it was thought the launch date would move forward in order to compete with rivals like the Galaxy S10, which debuts on February 20, 2019. The next-generation Huawei P30 Pro is widely tipped to have a rear-mounted camera with four lenses, to enable new wide-angle shots, as well as improved portrait-style images, and better photographs all round. This builds upon the foundation laid by the P20 Pro, which included a triple-camera system that combined a 40-megapixel RGB and f/1.8 lens, 20-megapixel black-and-white with f/1.6 lens and an 8-megapixel one with a slower f/2.4 lens. That camera set-up allowed Huawei to offer a 3x optical zoom, artificial bokeh-style blur to the background of portrait-style shots, as well as hugely-improved performance in tough low-light conditions. A quadruple-camera is something that Huawei European Head Walter Ji has previously hinted at in interviews. The executive told Android Pit last year, "Next year we will definitely see more innovation in the camera, and now we have three, imagine four for next year." As for the raw numbers of the new camera system, Huawei will purportedly not be including huge numbers of megapixels with its new handsets, instead opting for ‘only’ a 38-megapixel sensor in its primary shooter. In terms of raw numbers, this actually falls short of many of the rival 48-megapixel camera phones launching at the moment – including Honor View 20 and Huawei Nova 4. In fact, it‘s even lower than the 40MP Huawei P20 Pro. However the quality of images is governed as much, if not more, by the quality of the sensor, lens and image processing as it is by megapixels. 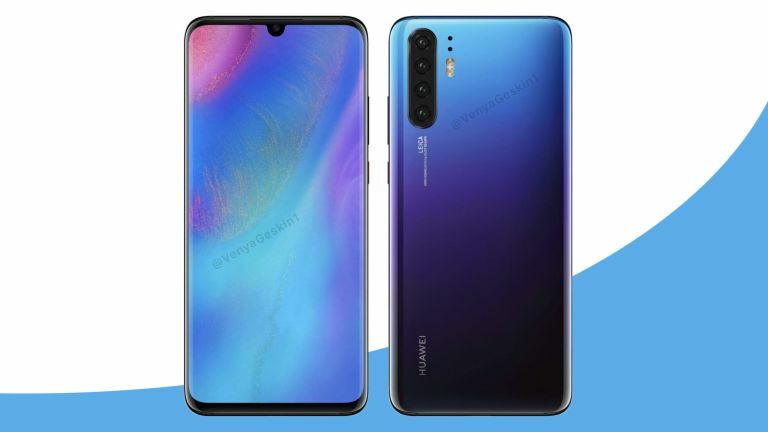 Other leaks and rumours suggest that the Huawei P30 Pro will keep the notch used in the previous generation and ignore the trend for small pinhole cut-outs to house the front-facing camera. The display size is rumoured to be in somewhere in the region of 6 inches.